I love marching band. I love graphic design. So, when I was approached by the Director of Bands at James B. Dudley High School to design a new logo for the band, I was very excited. 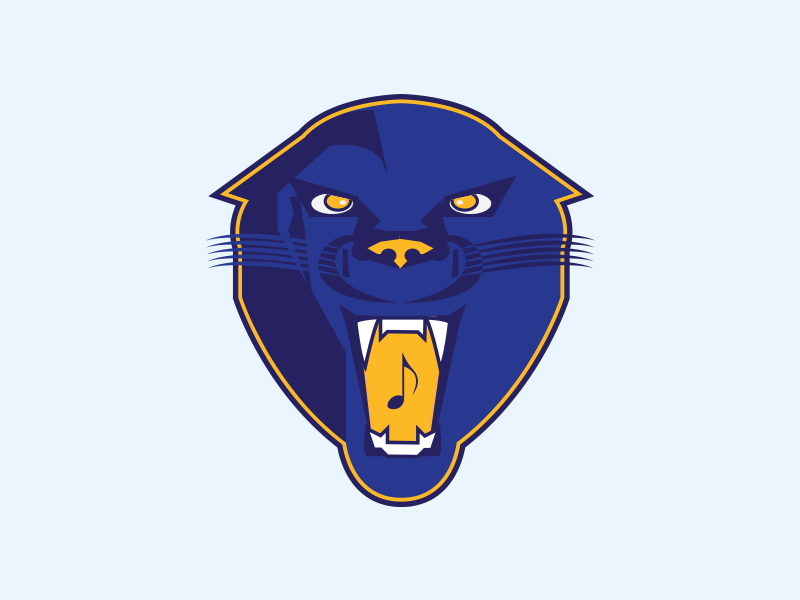 However, this project would require me to illustrate a full panther mascot. This wouldn’t be the more minimal logos I had grown used to designing. I don’t consider myself an illustrator so this would be a challenge. But the challenge was well for worth it.